Two Indian clerics who went missing in Pakistan last week have denied reports that they were ill-treated during their time there. They were speaking on Tuesday just after getting back to Delhi. Syed Asif Ali Nizami, the 80-year-old chief cleric of New Delhi’s Dargah Nizamuddin Aulia, opened up about his detention at Karachi airport, from where he was allegedly driven to the outskirts of the city. Upon being asked if he was ill-treated, the cleric said, “Not at all,” adding that the interrogators offered him biscuits and made him tea just the way he liked it. Syed Asif also mentioned how they cooked dal for him when he said he didn’t want mutton. “We were not troubled and were kept in VIP rooms. My details were asked, Dargah’s details too,” Asif said. Asif and his nephew Nazim Ali Nizami visited Data Darbar in Lahore before heading to Karachi, from where they went missing last week. They were recovered from the port city on Saturday night. Local media reports, citing unnamed sources, said both the clerics were recovered from the city’s Nazimabad neighbourhood. They had apparently been to “[rural] Sindh to meet their followers, where there was no communication network”, which is why they could not inform their relatives about their whereabouts. 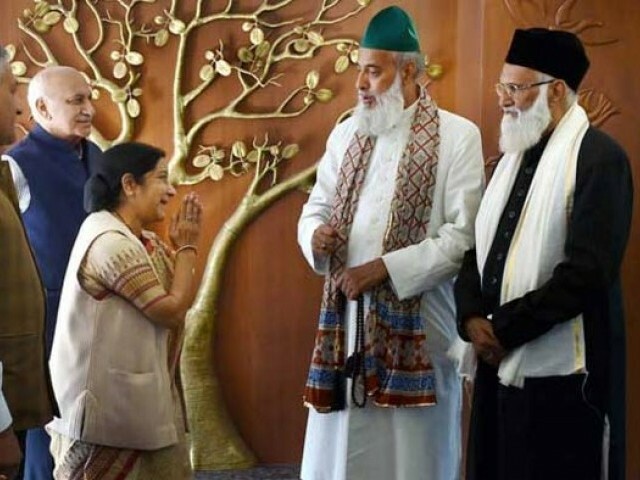 Meanwhile, the chief cleric, who arrived in Delhi on Monday, refused to share any more details of the detention. “I will definitely go to Pakistan again, bearing a message of peace and love,” Nazim said. This is not what is reported in Indian media. The clerics are reported in India as being interrogated by Pakistan intelligence agencies against thier will.